Superman can't stop talking about that awesome trailer. He's so psyched he keeps going on and on to Batman as they sit at their regular spot, the Super Cafe. 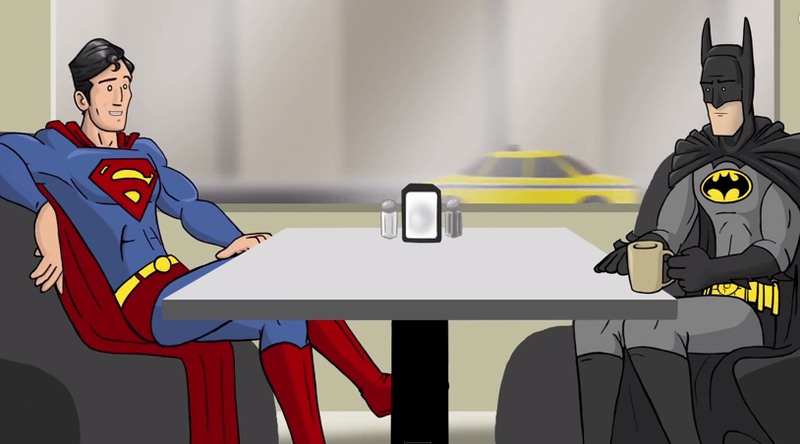 The makers of 'How It Should Have Ended' bring you another amusing installment of Super Cafe as two of the greatest heroes debate why or why not they should fight each other. Also, that awesome trailer is not the one you think. Enjoy!